pizza toppings of your choice, such as: onions, peppers, pepperoni, etc. Oil the grill grates, then preheat grill to medium-high. Cut zucchini into thick slices about 3/4 inch thick. Remove zucchini from the grill. Add sauce, cheese, and other toppings as desired. Put loaded zucchini slices back on the grill and cook 7-8 minutes more with the grill lid closed. 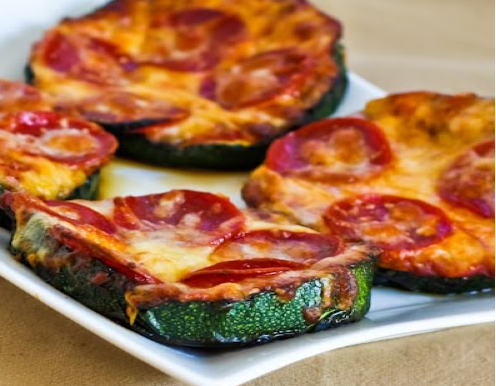 Remove zucchini pizzas from grill and serve hot.